A very tired bear is visited by his wide-awake neighbor, Duck, in this humorous picture book. Bear is adamant that he needs to sleep, but Duck is bored and repeatedly keeps him from falling asleep. 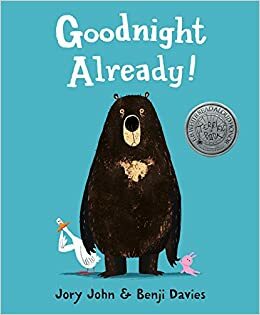 The ending, in which Duck falls asleep and Bear is now wide awake, is somewhat predictable, but young readers will be amused. There is humor in the illustrations as well. Readers will be amused with Bear’s expressions, which exactly capture his feelings, and the details in the illustrations, such as Bear’s purple and pink star robe and his stuffie that makes an appearance throughout the book. Although Simon is sick, he goes to school. He is pictured in the story as sneezing on his classmates and having a runny nose and by the end of the week it is apparent he has gotten his classmates sick. The germs turn up while Simon is riding the bus home from school and they teach him a lesson about proper hygiene for when one is sick. This book teaches the behaviors that are necessary when one is sick in an interesting and humorous way. 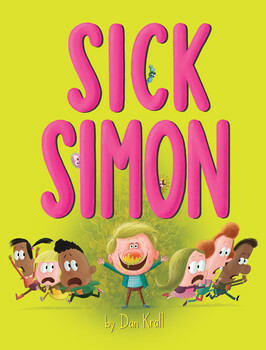 Many of the illustrations, such as Simon’s dripping nose, are gross, but will entertain young readers. This is a picture book written in comic book style, reminiscent of the Magic School Bus. Like Ms. Frizzle, Dr. Cosmic has an unusual teaching style in which his students experience and learn about a science-related topic. 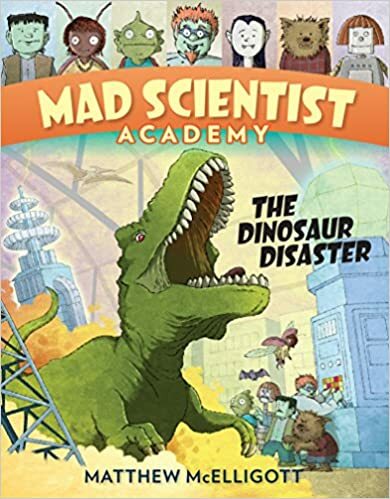 As a group of students visit the dinosaur exhibit at their new school they not only learn information about dinosaurs, bu find themselves involved in a mishap in which the dinosaurs come alive. The story is interesting and informative. I think the illustrations, which include lots of detail and are action-packed, will be attractive to readers and make them want to return to this story again and again. This picture book is fun and informative. Readers will learn a lot of information about spiders and may even be persuaded to like spiders a little bit when they realize, like the narrator does, that spiders are helpful when they eat bugs. The text is written in a conversational tone, drawing the reader into the narrator’s efforts not to squish the spider. The narrator even suggests trying to pet the spider. Throughout the book, the narrator tells interesting information about spiders to help readers see them in a new light. Young readers will laugh, as well as learn. This picture book is based on the toy characters from the chapter books in the Toys trilogy. The three toys are adventuring outside to see snow for the first time. The simple story tells of their wonder and amazement as they play in the snow. Lumphy, the Buffalo, has questions about the snow and while Plastic answers factually, StingRay offers his own poetic version. They return to the house and appreciate the peacefulness of the snow and the warmth. The book tells a sweet, whimsical tale that will get readers excited about the first snow fall. I have never read any Ann Martin’s original Babysitter Club books so I don’t know how this new version of the series compares to the original, but the graphic style is sure to interest many readers. 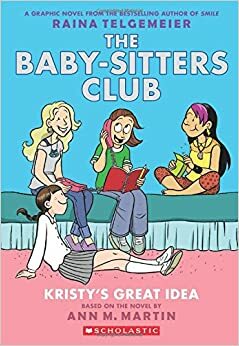 The graphic novel centers on four girls who have formed a baby-sitting club and in addition to running their club are dealing with family issues and learning how to handle conflict between friends. I think many readers will be able to relate to the characters and connect to the problems that the characters are facing. I anticipate that this series will become very popular with my students. This is a chapter book for middle grade readers that tells a heartwarming tale of friendship. Lily, who has lived with her grandparents since her mother died when she was two, feels left behind now that her best friend has become interested in boys. She begins an unlikely friendship with Salma, whose family members are migrant workers in the blueberry fields. The story touches upon issues related to differences, growing up, and friendship. It also shows the power of friends and family and the ways in which they can support one another. This middle grade novel addresses the very important subject of homelessness and poverty. Jackson’s family is struggling to pay the bills and are at-risk of losing their home. 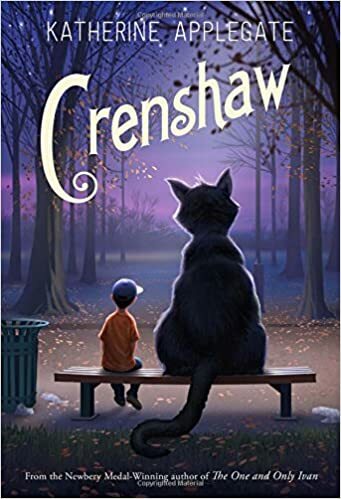 Jackson is worried about his family’s situation and when his imaginary friend, Crenshaw, reappears he is also trying to figure out if he's real and why he's returned. Jackson learns the importance of companionship and family and the story ends with a sense of hope for better times. This novel is powerful in that it can help create empathy and understanding for those who are struggling through hard times. A Handful of Stars has circulated better than I thought it would. I haven't bought Crenshaw-- the fantasy element made it seem more elementary school to me. 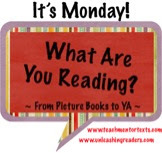 You had a great reading week! I think it would be okay for sixth graders, but probably not so much for older grades. There is a serious part to it which makes it more appropriate for upper elementary. Handful of Stars had line after line I wanted to remember. 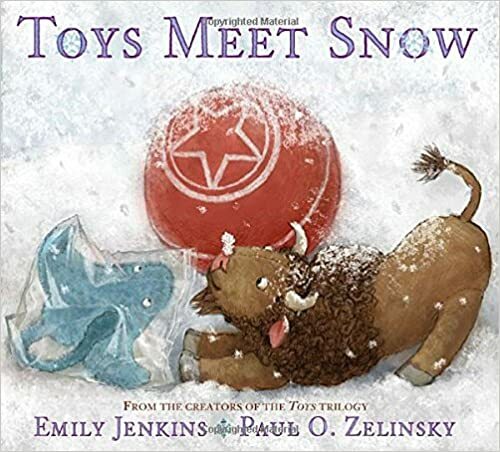 I think Toys in the Snow will be a great book to use when teaching perspective. Toys in the Snow does show how two characters can see something in different ways. I just loved the way the StingRay described the snow and the sunset - they are great lines. I have Handful of Stars checked out now and hope to get to it this week. I've heard such good things and I always enjoy Lord's novels. I have to read some of her other novels. 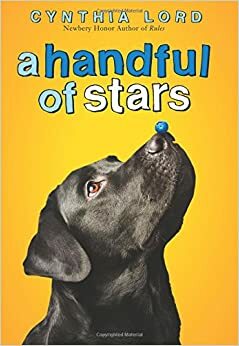 I like that Handful of Stars was realistic and addressed issues students could relate to. I had I'm Trying to Love Spiders waiting to be delivered to a teacher in our school. Another teacher came in and when I tried to show it to her, she backed right away from it. I tried to convince her to try it, but she was having none of it. I enjoyed reading A Handful of Stars this summer. Cynthia Lord has never let me down! That's funny. 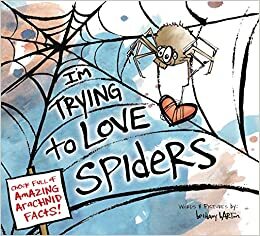 I think it's a very cute book even though spiders aren't my favorite.